Throughout debate season, Republican candidate after Republican candidate pretended that Bernie Sanders didn't exist. Christie Christie, Ted Cruz, et al., treated Hillary Clinton as the presumptive nominee long before Martin O'Malley even exited the race, suggesting repeatedly in their snatched debate rants that they, and only they, were the person to defeat Hillary Clinton in the general. Of course, during Donald Trump's RNC speech, Bernie Sanders finally came up, with Trump going as far as to suggest that the Democratic was rigged in favor of Clinton. "He never had a chance!" he crowed. "Never had a chance." In a comment sure to make both Sanders and Clinton wince, Trump also gleefully pounced on Sanders' criticism of Clinton during primary season: "Her bad instincts and her bad judgment — something pointed out by Bernie Sanders," Trump said, "are what caused the disasters unfolding today." He went on to say: "I have seen firsthand how the system is rigged against our citizens, just like it was rigged against Bernie Sanders — he never had a chance. Never had a chance. But his supporters will join our movement, because we will fix his biggest issue: trade." Sanders, of course, has grudgingly come round to admit that he'll seek to help Clinton win. 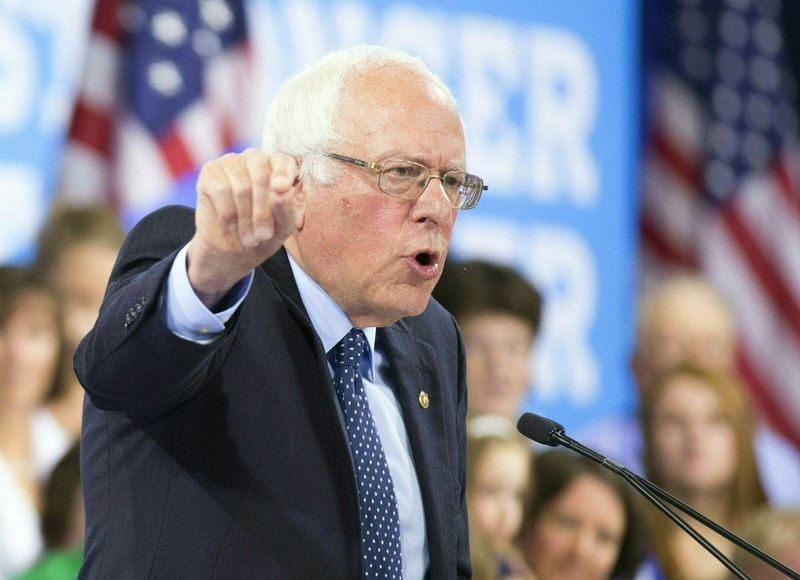 The late-stage admission follows a drawn-out primary battle in which Sanders vowed to remain in the race until the official Democrat nominee was declared. As Donald Trump spoke, Bernie Sanders tweeted. And tweeted. And tweeted.